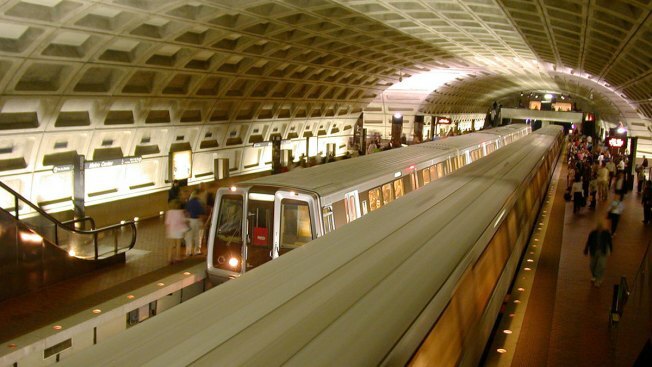 Metro will in fact stay open late Thursday night thanks to the nation of Qatar. The DowntownDC Business Improvement District made a deal with Qatar to pay $100,000 for an extra hour of service for the Washington Capitals' playoff game against the Tampa Bay Lightning at CapitolOne Arena. D.C. Councilmember and Metro Board Chairman Jack Evans tweeted: "The @DowntownDCBID and Qatar stepped up to make sure Caps fans can enjoy the entire game by ensuring @wmata runs late night service. Thank you to to everyone who worked hard to make this possible. #ALLCAPS!" After Metro's regular closing time, Caps fans can enter the system at three stations: Gallery Place, Metro Center (11th & G street entrance only) or Judiciary Square (F Street entrance only). All other stations will be "exit only," Metro said. A Metro source had said on Wednesday that no money had been exchanged, and Evans said the deal "seems to have come undone." The two sides were still trying to work out a deal, but Evans had said he wouldn't count on it happening. Evans said Qatari officials attempted to change some language in the standard contract that Metro has about paying to keep the system open late. He said the language Qatari officials tried to change involved an indemnification clause that would have required board approval. Metro stayed open late for Tuesday night's game. Exelon, the parent company of Pepco, paid the $100,000 deposit.